I firstly apologise in advance if all I seem to talk about at the moment is our new house. I literally am obsessed with everything house related, to the point where I don’t even want to leave it because I love it so much. Many an evening is spent looking at furniture I can’t afford, or stalking my favourite instagram accounts for house inspiration. While our house needs so much work, I feel strangely calm about it all. We have time, while you can’t say anything is forever, this is our home that hopefully our children will grow up and fly the nest from, and I don’t feel like there is any rush to get things done. When I say our house needs a lot of work, basically Jon keeps joking we should have bought some land and built our own home (I wish!). We bought this house specifically as a renovation project, we didn’t view it and think that we would keep anything, it was always going to be a project of ours. It’s funny because when we first started looking at houses we looked at a couple of new builds that would have obviously been completely done and new, but we went full circle and decided we wanted a project to work on. By the time we are finished, I want to completely gut this house and start again. Everything from the carpets, to the windows, to the conservatory, the kitchen, the bathrooms, the internal doors, everything will be replaced and changed. Of course this unfortunately won’t happen overnight unless we win the lottery, but we have prioritised certain things and other things will happen a long way from now. One big project that we are going to have to wait a few years for is firstly our kitchen, I can’t wait to change it but due to kitchens being one of the most expensive things you can buy for a house, that will come in time. Other big projects that are dreams for us but again will come in time are a possible garage conversion (we can’t decide though as to be honest we are loving have a dumping ground in a double garage), and the bathrooms too. I would love to get one of the bathrooms done within a year or so, but that all depends on whether we have the budget for it. That is what I am aiming and saving for. The first big project we are doing is replacing our windows. Our current ones are wood and are unfortunately going rotten so we need to get them replaced as a priority. They also aren’t very well insulated either. We are going to book them in any day, we are just deciding between two different companies who are offering slightly different things, and then both of them said it will be about 8 weeks until they can start installing them. 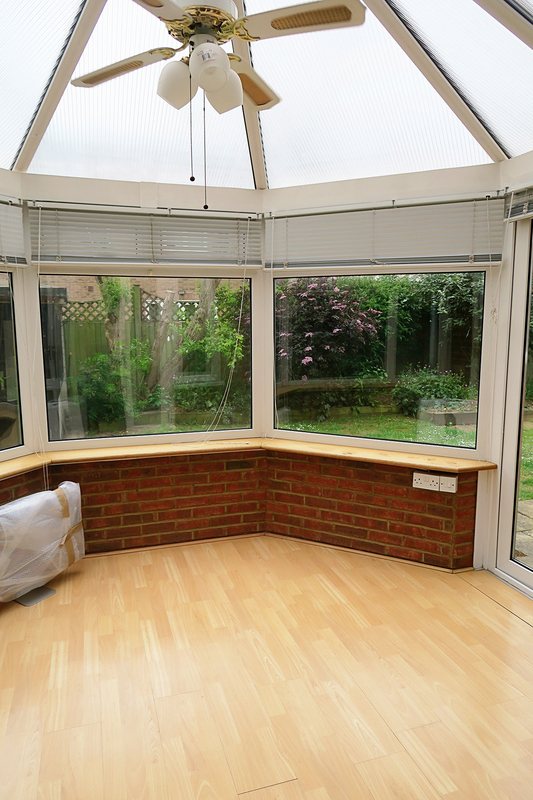 We are also seriously debating whether we are going to put a ‘warm roof’ on our conservatory. The current one is just a dumping ground for boxes and toys, it’s really old fashioned with a gold fan and it’s boiling hot when it’s sunny outside and freezing when its cold. Our plan is to get a warm roof on it meaning that we can use it all year round and it will feel like an actual part of the house rather than an add on if that makes sense? 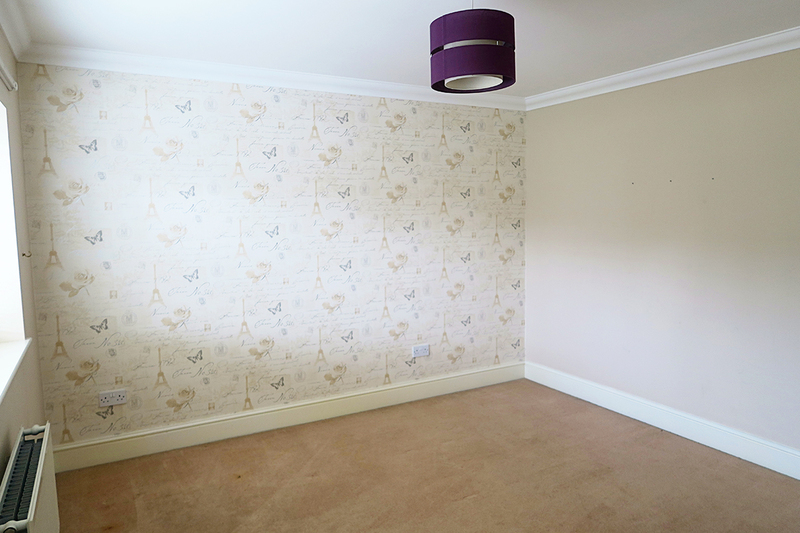 We are thinking of using it as a family room with a big comfy sofa and then having our lounge as more of an adults only room. We have already painted the girls room, our baby boy’s room and the playroom (which is technically the fourth bedroom upstairs) and carpets have gone down in all three as well. I have been slowly buying bits and pieces for them all, furniture here and there, and trinkets too, but I still have a fair bit to get and sort. 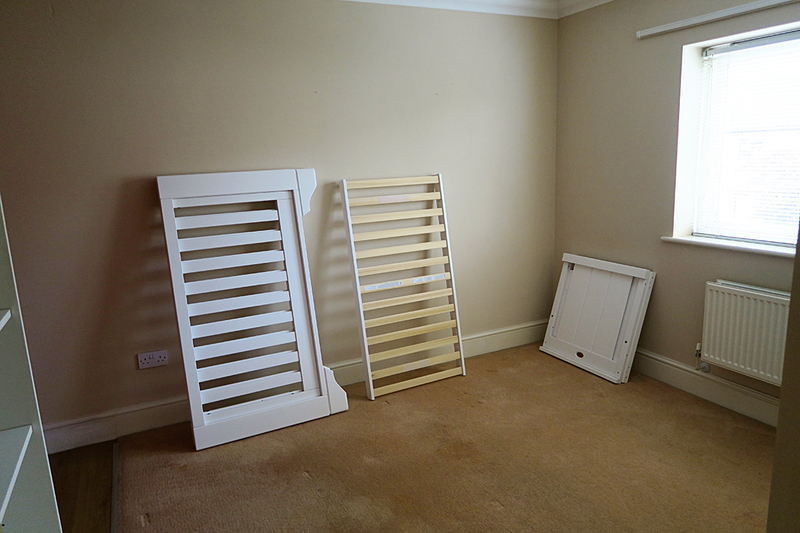 The girls needed new wardrobes and new beds as their old bunk bed was a small single and they were growing out of it. There’s a lot more to do, but we have definitely got the biggest things done, bar replacing the windows and therefore the blinds too. In terms of the lounge, bar the obvious things like replacing the windows and internal doors, we are going to strip that wallpaper, put down hard flooring, and also do something with the fireplace. 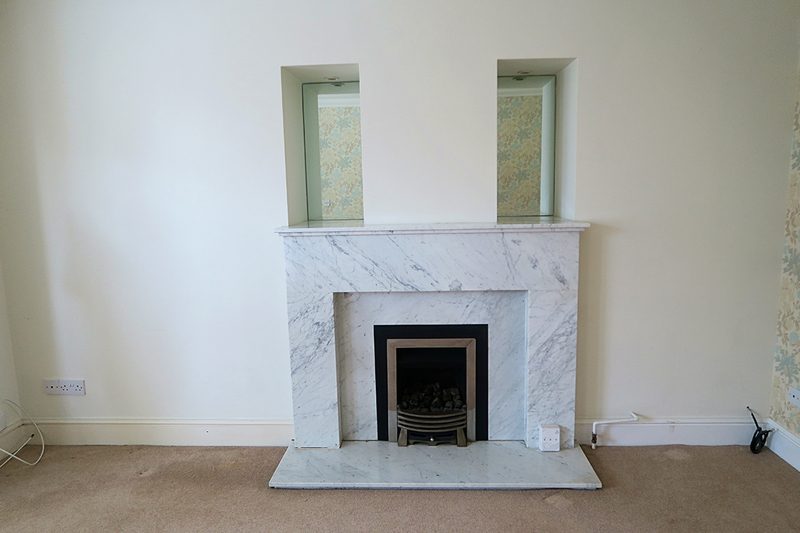 I love the marble part of the fireplace but one day I want to replace the fire itself (I am not sure what to yet). 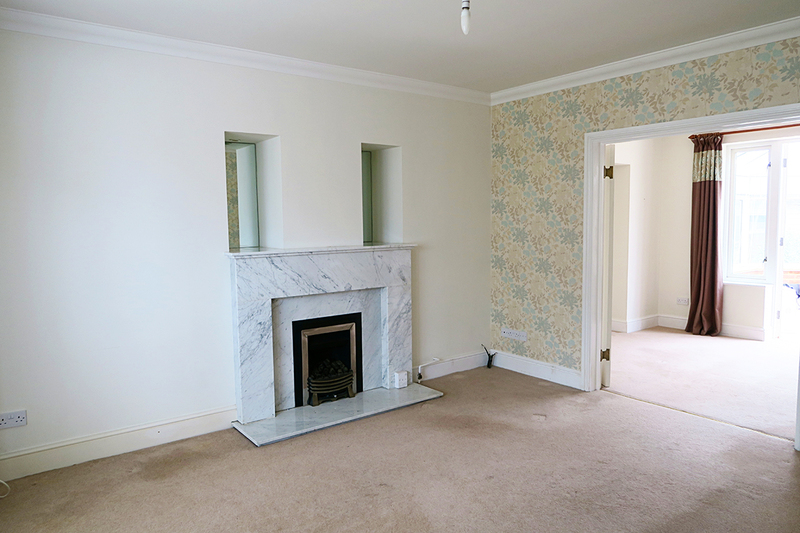 We are also going to box in those random alcoves above the fireplace, at the moment they go really far back and have mirrors in them (yuck!). The conservatory is just really old fashioned, with the fan and that perspex plastic roof. Our plans are to gut it and add a more modern warm roof. 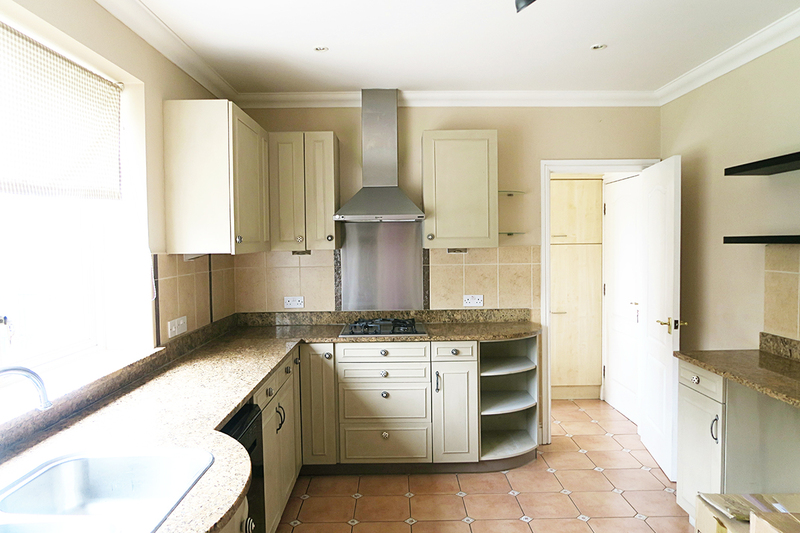 Before we moved in I was quite worried about the kitchen, remembering it from our viewings to be not our style at all. But when we moved in I was pleasantly surprised. Don’t get me wrong, it really isn’t our style in the slightest but it really is liveable and fine as this is probably going to be our last project. 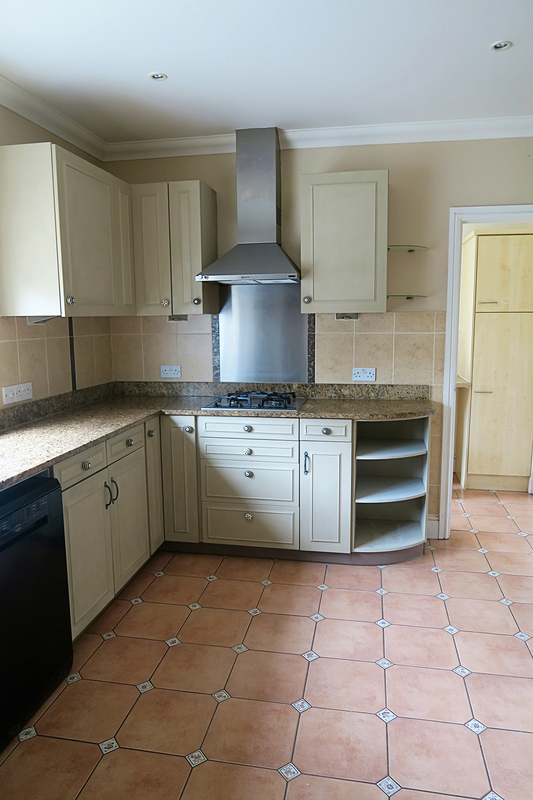 I can’t get the whole kitchen in with my camera but it is a really good size and through the door in the right hand corner we have a great size utility room too. 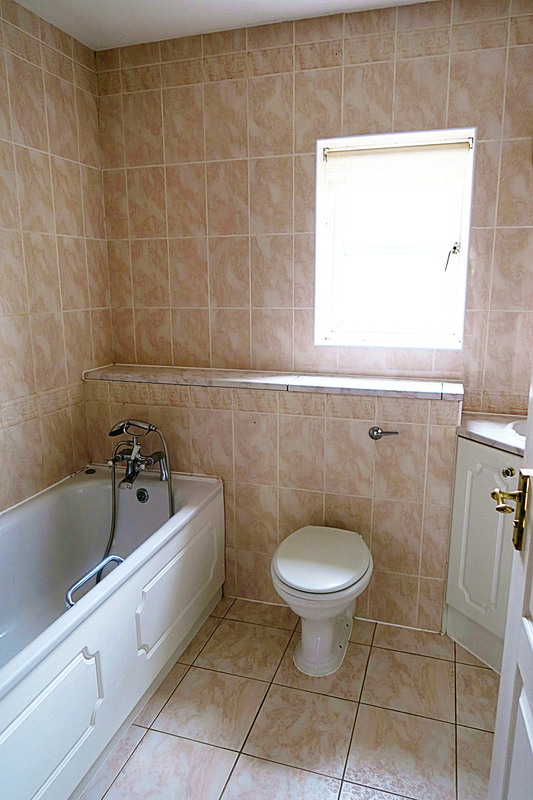 It makes me so excited having a utility room, I have always wanted one. 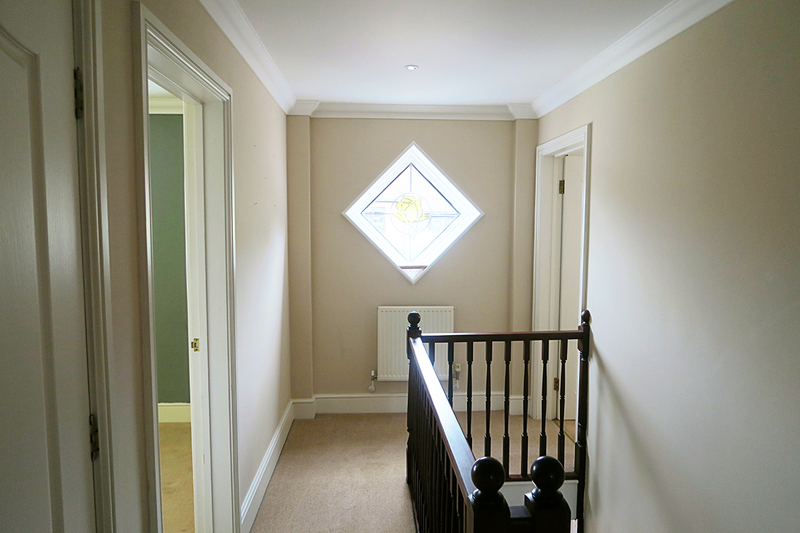 I haven’t photographed all the hallway and we also have a downstairs toilet which is a great size as well. But our plan with the hallway bar of course painting it all, is to replace the staircase. We have had a couple of quotes that have come back at a ridiculous price, but we are still on the search. If we can’t afford to replace it straight away then we will paint it white for a while until we can. 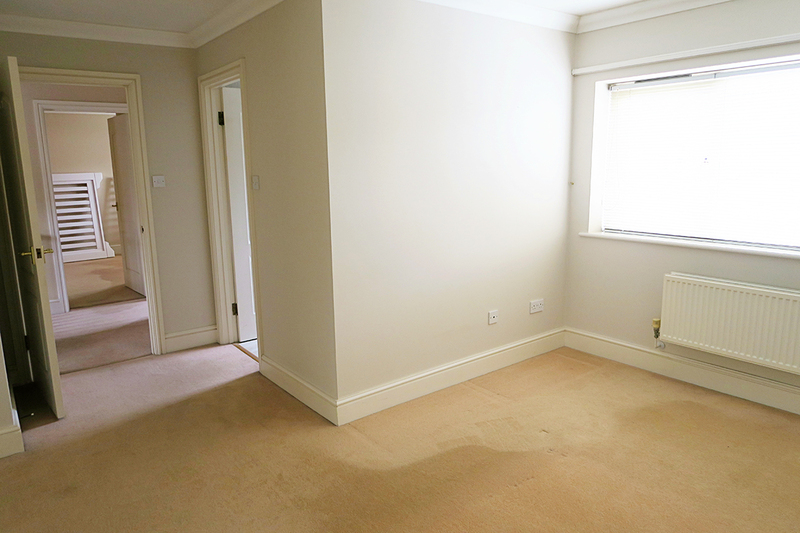 We will be replacing the carpet as well and adding some furniture I think. The family bathroom is a great size but again I can’t get it all in the photo with the camera. 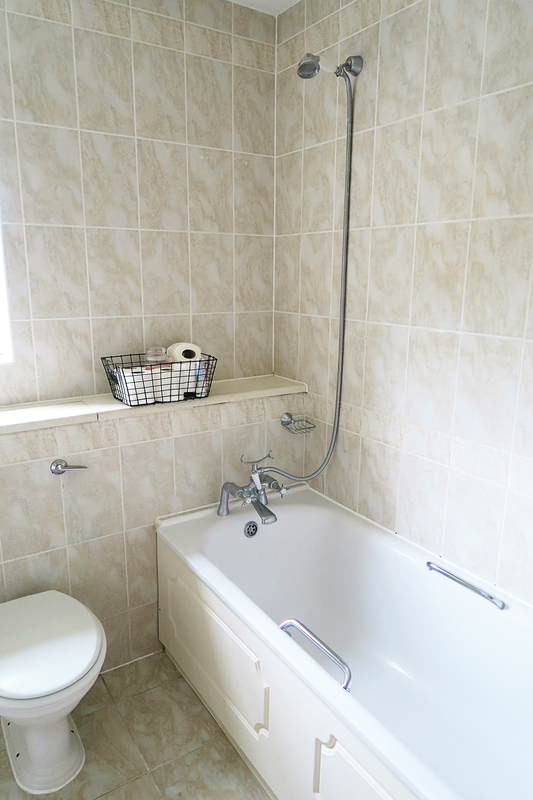 It has a separate shower in the corner, plus a bath with a shower too, but of course is really not our style at all. However it is clean and fine for now, and will all get ripped out at some point. The girls bedroom has already been transformed to how it was when we moved in. 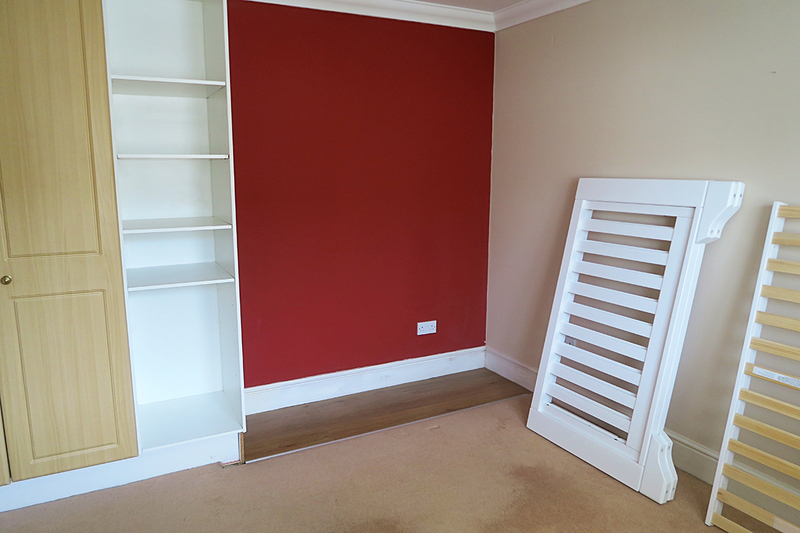 We have already painted everything, replaced the carpet and got rid of these really old fashioned wardrobes. They are having an ice cream themed room and I am slowly getting it all ready for them. The house has four really good sized bedrooms, in fact that was one of the reasons we bought the house, but the girls wanted to share still which was sweet. Our fourth bedroom is going to be a playroom/spare room until the day they decide they no longer want to share. The playroom is another room that has already changed. 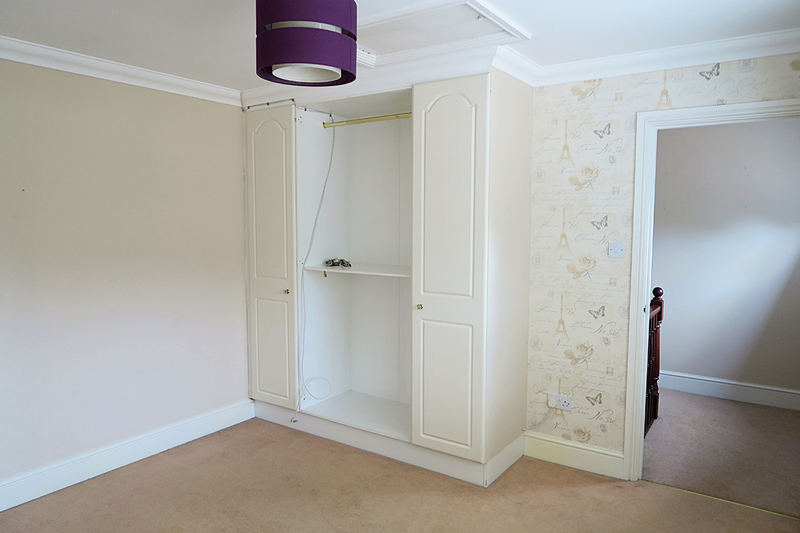 The eiffel tower wallpaper has gone and so has the basic fitted wardrobe. It has been painted and the new carpet has been laid. 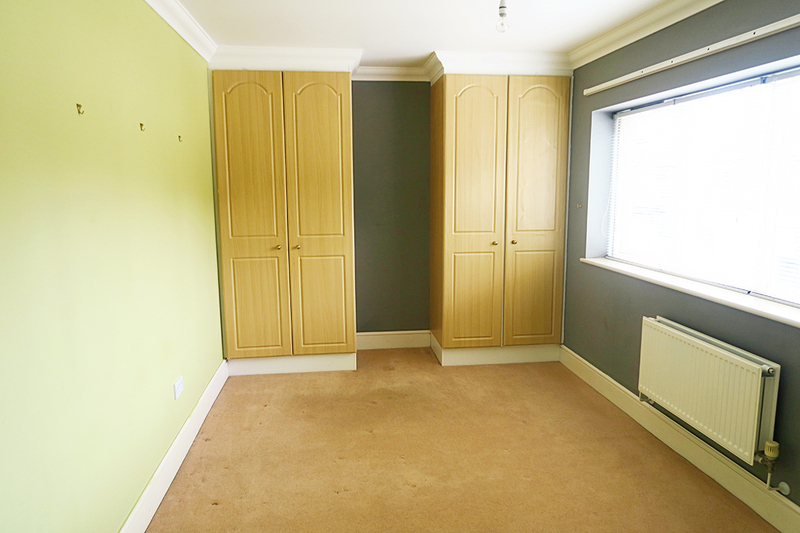 We are looking to get fitted wardrobes along one wall that are going to be full of storage for toys and books, and then we are going to have a sofa bed in here (which we ordered today woo hoo!). We are also eventually going to get a TV and it is going to be a lovely playroom/spare bedroom for when people come to stay. Again our baby boy’s room has also already been started. 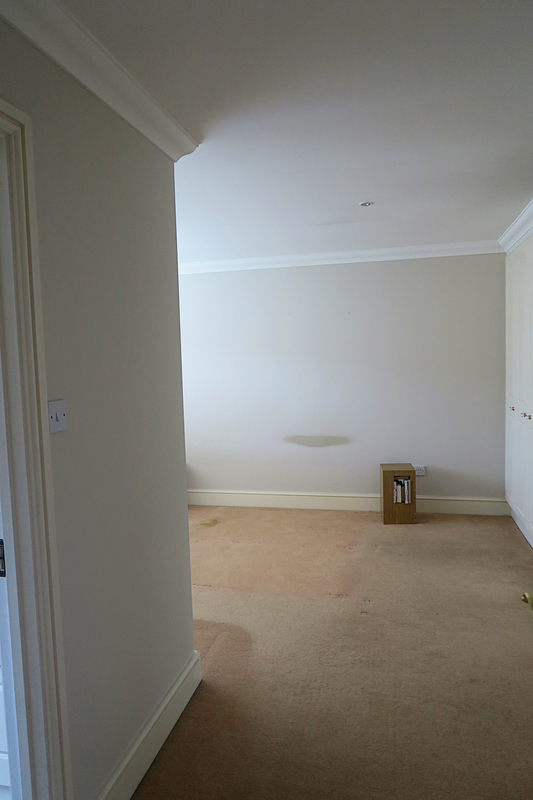 It has been painted white, with a new carpet, the fitted wardrobe has been ripped out and the strange wooden bit of floor has gone too. His room really badly smelled of smoke so we wanted to try and get it done as soon as possible. HIs room is our smallest room, but it is still bigger than the biggest bedroom in our old house. I love our bedroom so much. In our old house our bedroom was the room I disliked the most, it was a very small bedroom and more than that it was an awkward shape, meaning we could fit our bed and a small wardrobe between us and that was it. The master bedroom in our new house is huge and has so much potential. 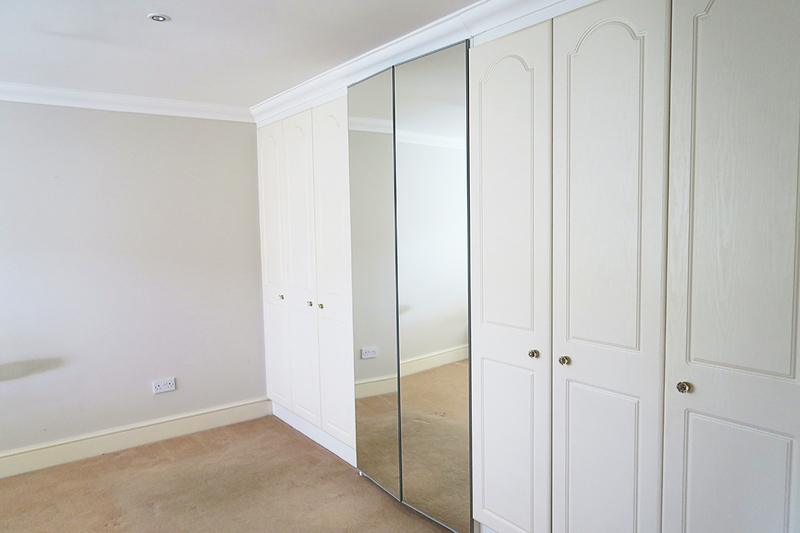 The plans for this room are to replace the wardrobe doors, the wardrobes themselves are incredible and go along the length of one wall. We like the mirrored ones in the middle so will keep those, but are going to change the other doors to something more modern. 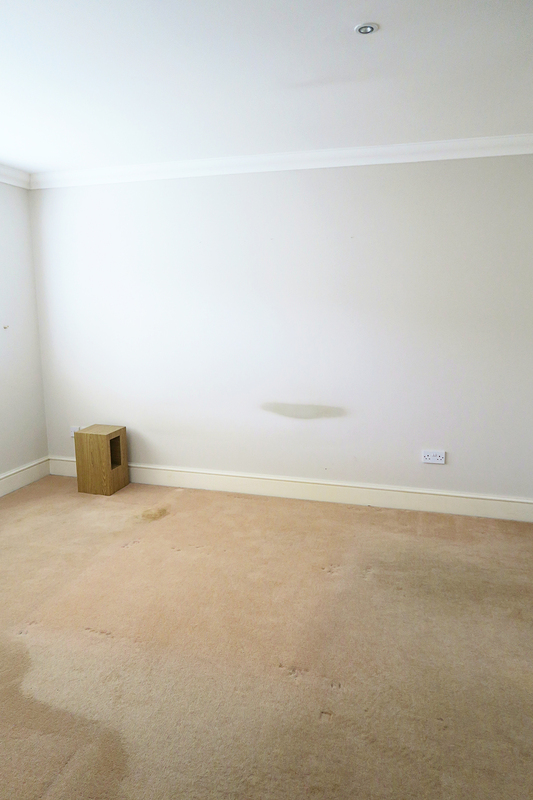 We will then paint, replace the carpet and get some more furniture in the future, but it isn’t a priority. 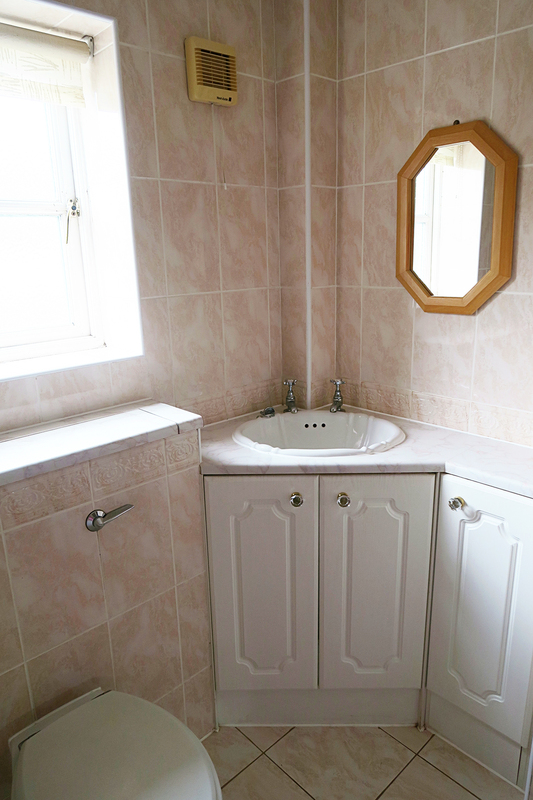 The en suite bathroom is pretty much identical in size to the family one, bar it doesn’t have a separate shower and the tiles are a slightly different colour. Bleugh. I can’t decide if we will do this one or the family one first. And there you have it, that’s our new house. It’s funny cause even looking at these photos, I can just see the potential. I know it is going to be an amazing family home for us and I am so excited for all the fun projects we have to come. We just need to start prioritising and saving. It’s so exciting to be in a house that we know we are going to be in for a very long time, if not forever. Is the house 30s? The windows look like they are that era. So much space in older houses! Not being able to do everything at once really is a blessing, living in a house for a few years really helps cement ideas about what you want to do and it is SO satisfying when FINALLY you get to do them. Speaking as someone who has been looking at the world’s ugliest patio for 4 years… Until 10 days ago! It looks amazing. Such a grown up proper house (if you get what I mean). Obviously it will take time to update it all, but the rooms look a good size and shape and everything else you can change in time. I would be too intimidated to take on a big project. We only had a few urgent things to do when we moved in our house (when I was 38 weeks pregnant). Little is now nearly a year and a half and I haven’t done much of it. 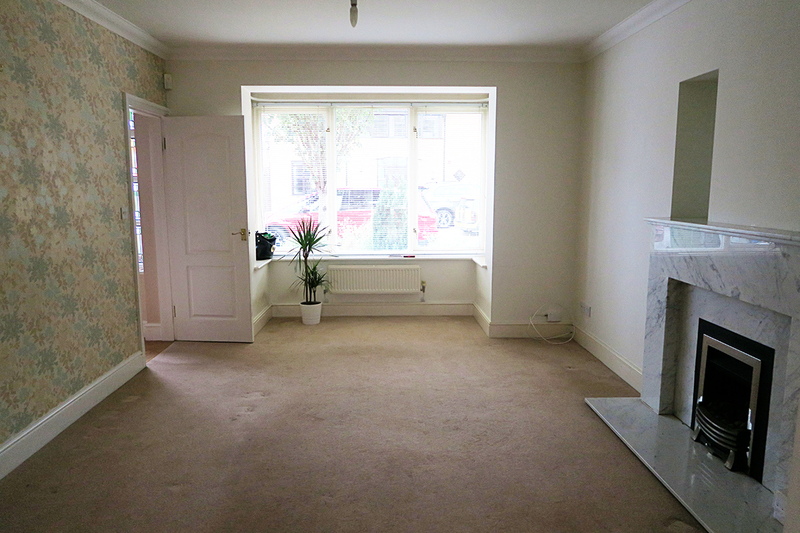 Wow amazing house with so much potential (like you said)! Thank you for sharing photos, I love a good nosey around houses for inspiration. So many quirky bits to that house, looks like an amazing project, can’t wait to see the coming changes!.. It is awesome babes so much light and room. I know your home interior designs skills are out of this world so you will make it into one amazing master piece. I love the girls and baby w room already with what you have done. I would say the bathroom that guests would use or visitors family bath first! Love the space in the kitchen too. Hope you are enjoying your fajita set and MR E cheffing in the kitchen with more room too. Miss you guys. I can’t wait to see the finishing touch of your new home. It looks lovely and a project is great – I did that with my first house, and it was so much more exciting having a nice kitchen knowing I’d saved for it and planned it and chosen everything, it almost made living with an old lady kitchen that had no drawers (seriously!) for 18 months. We moved into our family home just before I was 3. 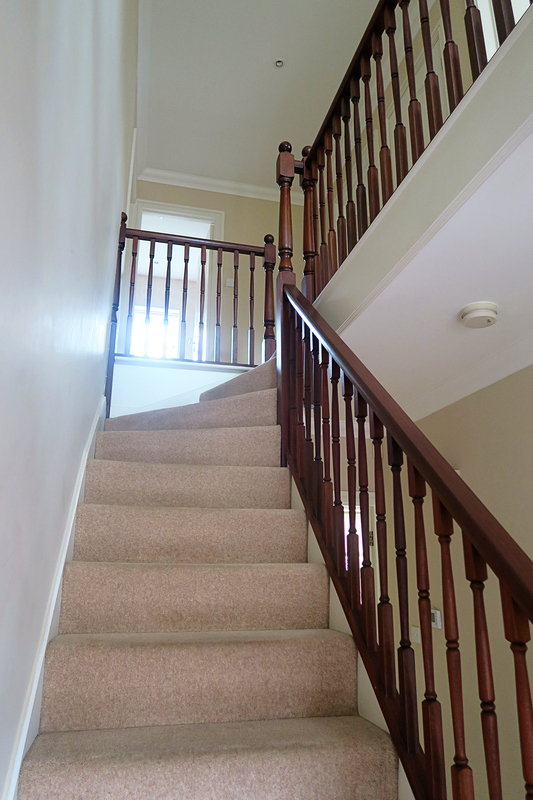 It needed LOTS of work – much like yours, it was liveable but not what we wanted! When I was 6 my Mom left and so my Dad had to complete the work with just his wage, whilst raising two nightmare children! The house still wasn’t fully completed until I was 19 (and already at Uni!) and now my Dad’s starting to work his way around the rooms again to “refresh” them – ha! I have such fond memories of helping with it though – carrying buckets of old plaster, living off takeaways whilst the kitchen was being redone, having to go to our cousins to shower when the bathroom was being done. I’m not sure I’d ever want to get rid of that house, even though I’ve now moved out!, because I know the hard work, time, and effort that my Dad put into working, saving, doing the labour himself in every aspect of the house to raise me and my brother in. It’s exciting seeing others go through the same process!!! Hey Katie, the house looks great. Just like you mentioned that Jon is making jokes, that you should buy a piece of land and make your own home :)) … it’s funny but I believe this is what I like about buying a house that is already built, I just worry to be safe from a structural point of view and the rest … it’s when the fun starts for me and my Mrs 🙂 … it’s a lot of work … but it will be worth it! It’s exciting times when you buy a house and you want to make it your own, like many things that you posted here, by the way, excellent work documenting every single area of the house 🙂 … so like many things they need updating. I simply love to do that ! The only thing that I might not like that much is if I have to live in the house as long as we do the renovation … but I hope you guys will have lots of have refurbishing and redecorating your home !